It was this last book that caught my attention. I have always been agitated on how the powers that be chose to break-up the equipment list. In SR4, not only did you have the annoying task of looking up multiple books, but you had to flip through the book to find a stat you forgot, say the AP rating of your pistol. I think that this booklet here makes the set worth it. 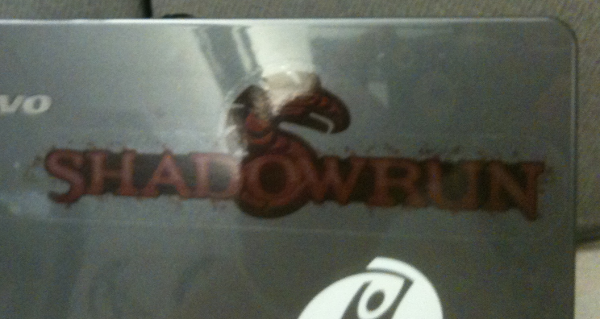 But I also got a cool Shadowrun sticker to put on my netbook. This was the icing on the cake.